Growing up in greater Cincinnati I went to Louisville, KY fairly often in my childhood an teen years. My mom had a number of events there so we went a few times a year. In high school I would go for conferences for a group I was in each April. My Dad even lived there for a year when I was in middle school for work. It was an hour and a half from Cincy, so it wasn’t hard to go for a day or weekend. So when a conference I regularly attend announced it would be in Louisville I was so excited! As I mentioned HERE I was able to fly up a day early and drive up to Cincy to see my loved ones, so double bonus there! The Bestie goes down all the time for work, so we were talking about things in Louisville and it made me realize I hadn’t been in about 14 years. Like, senior year of high school or freshmen year of college was the last time I was there. I can report that Louisville is a much cooler city than I remember. Here are a few recs about where I went in case you are heading there! So, this conference actually came with a ton of meals and I ended up only eating out twice. BOTH places were yummy and very distinctive to the area. We ate at one of the downtown locations and it was really good. Burgers, wraps, and local brews. Not that I drink beer, but several others seemed to really like them. Randomly, I ran into someone I went to high school with…. proving that it is a super small world. Adorable local hole in the wall restaurant. We found it on Yelp and I think we overwhelmed them a bit for a random Monday at lunch. Immediately after our group of six was another group of six and the place wasn’t all that big. The food was all local and very good. I got to have some Ale 8! 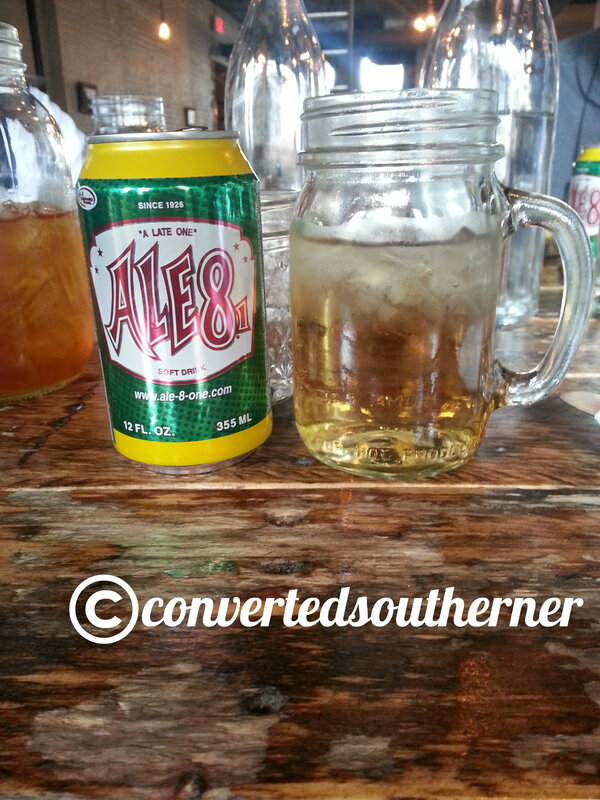 Ale 8 is a soft drink made in Kentucky and similar to ginger ale. I rarely get to have it when eating out! So fun! Ale 8! A childhood fave and Kentucky made! 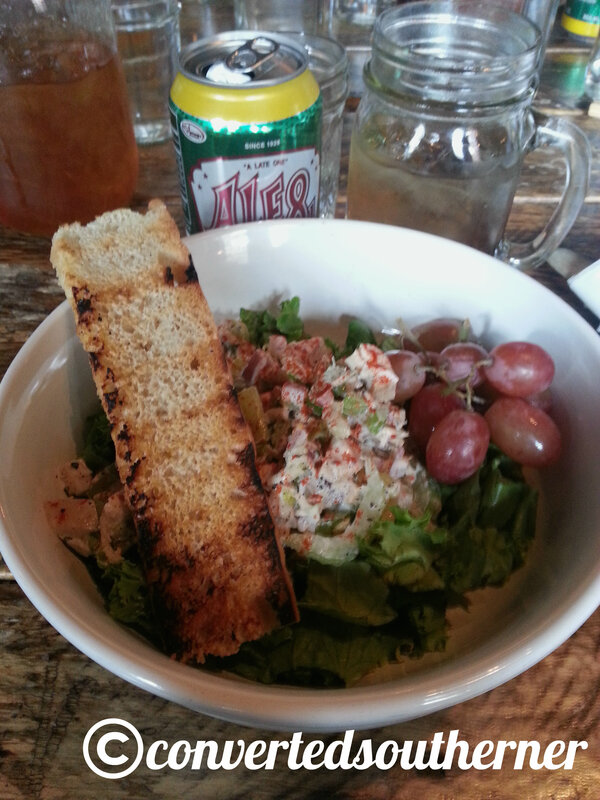 Chicken Salad at Hillbilly Tea in Louisville. 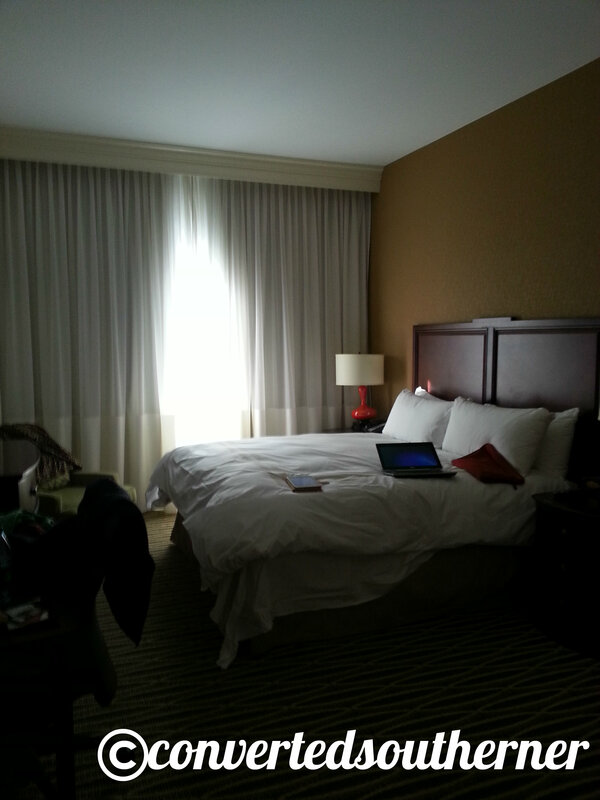 I was at the Louisville Marriott Downtown and it was great. Wonderful service and a very nice room. My only complaint was not enough power outlets in the room and a shower curtain that didn’t like to stay on the hooks. The customer service was wonderful though, really top notch. If they had ever bothered to send me a follow up survey I would have told them that. A couple things to note that are fun: The Louisville Slugger Museum and Churchill Downs- the museum specifically. 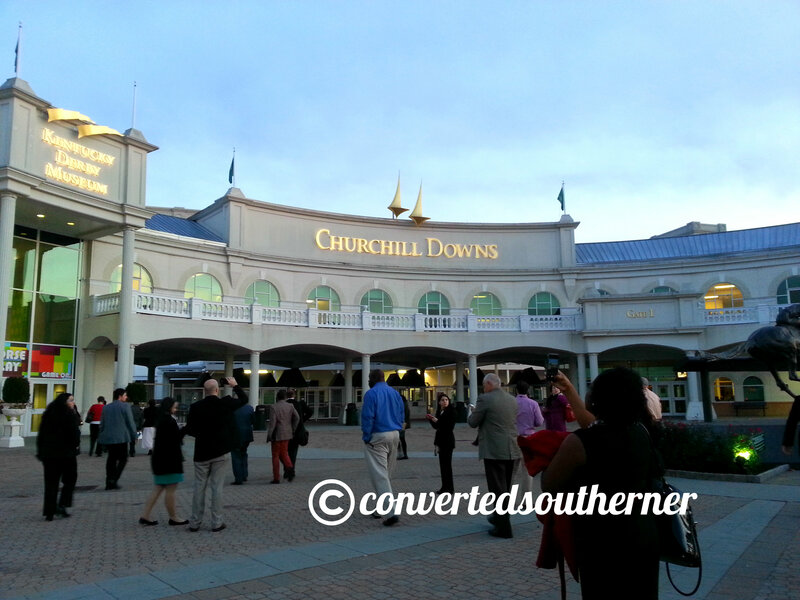 For those of you that don’t know Churchill Downs is the home of the Kentucky Derby that is run each May. Lots of memory of derby parties growing up! 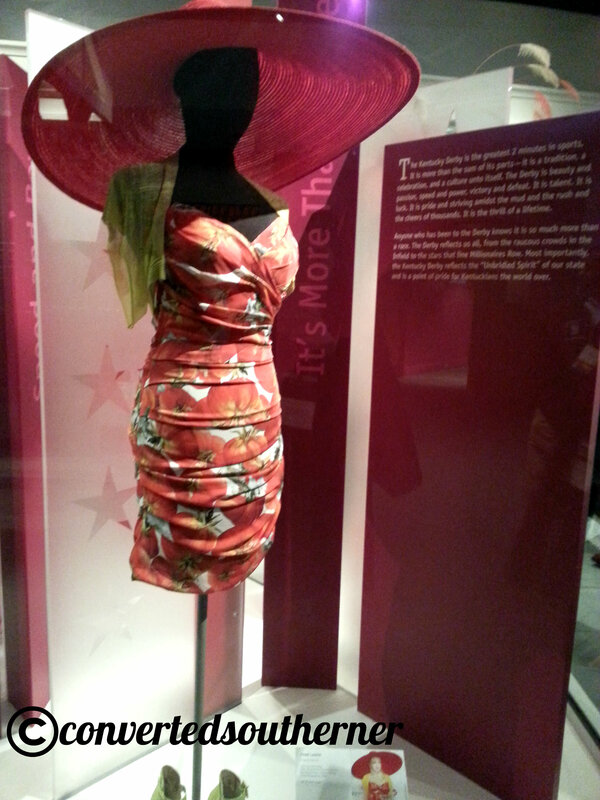 The fun thing about this museum is they have so many Derby outfits on display. ALL of those hats! It is awesome! If you like college campuses like I do: The University of Louisville campus and Bellarmine University are both lovely places to tour and have some amazing facilities. I’m a higher ed dork, what can I say?